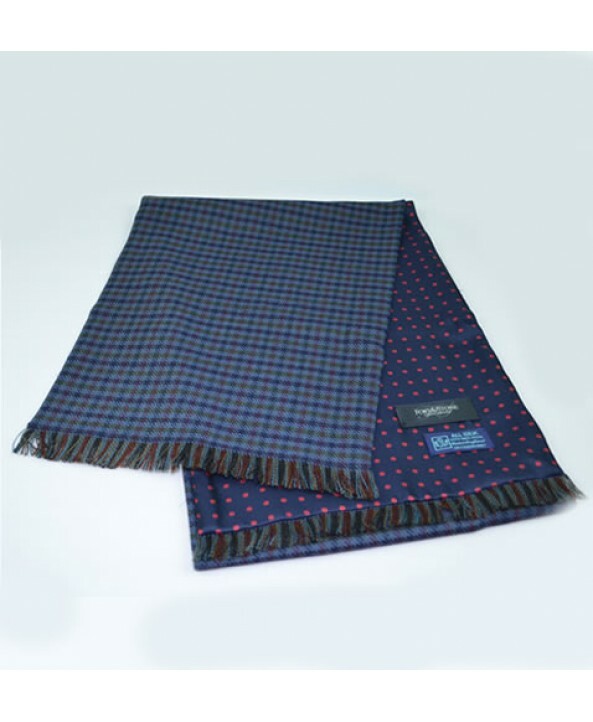 The country look side of this fine silk and wool fringed scarf features a mid weight finely woven English wool with a check pattern in dark blue, red and olive green on a mid blue ground. The town look style on the fine printed silk side of the scarf features a classic pattern of red spots on a navy background. This scarf is hand-made in England of finest quality English wool and Italian printed silk.